Handy paring/utility knife. 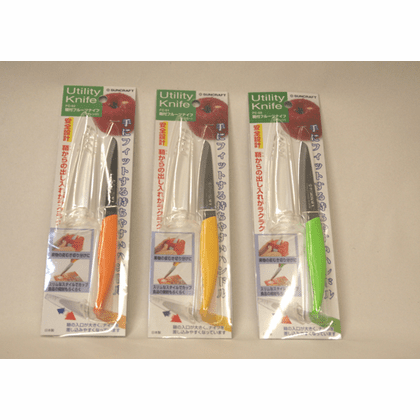 Sharp stainless steel blade and a colored plastic handle with a clear plastic cover. 4 inches blade; 7-1/2 inches long overall. Please choose from red, yellow or green.